Government is pushing implementation of a policy to compel all ministries, departments and parastatals to purchase vehicles from local assemblers.To this end, the Industry and Commerce Ministry has already launched the Motor Industry Development Policy. There are plans to economise use of foreign currency by ensuring Government departments and parastatals purchase vehicles locally. It is estimated that over $20 million is needed by Government to purchase vehicles for ministers and legislators. Minister Ndlovu said a committee would steer dialogue between Government and the motor industry to ensure the goals of the policy are realised. 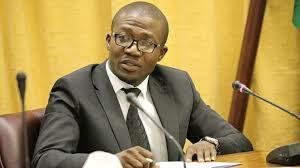 Motor Industry Association of Zimbabwe president Mr Simplisio Shamba said while there had been some setbacks in implementing the policy, targets were still on track. Mr Shamba urged Government to consider making local procurement of vehicles by its departments mandatory. Other targets of the Motor Industry and Development Policy include increasing exports of locally assembled vehicles from zero to 50 percent by 2030.